If you like it rough and dirty, then we have something for you. 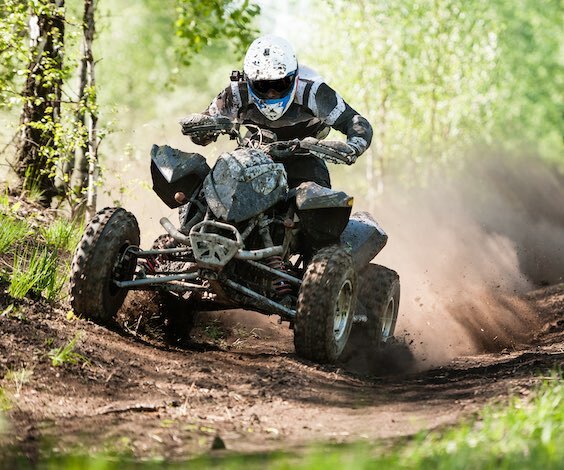 Wicked Buck’s Quad Biking tour of Cairns will be the ride of a lifetime. There may be a few bumps and unexpected encounters, but the adrenaline rush make it worth your while. Hop in and buckle up boys, we’re going for a ride. There is no experience required for these bad boys because full instruction from the Quad Biking experts is included before you’re left to your own devices. 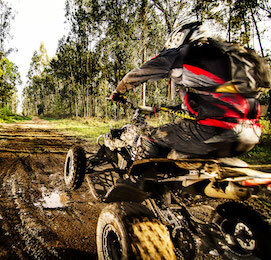 On this Quad Biking safari you will tackle dirt tracks and creek crossings, exciting bumps and wildlife encounters. It’s basically your inner 5-year-old’s dream come true. Just when you thought it couldn’t get any better, we’ll through in all your favourite foods and some drinks to celebrate surviving the ride. Think of this as your last opportunity to take off into the sunset with your best buddies before you tie the knot with your Missus. A great way to see the best of Cairns beaches and the local attractions. You don’t need to be a budding James Bond to pull off these stunts. All required the safety equipment and training is included so you can focus on the fun. Want to bring half your town along for the ride? We can cater for you. If you’ve just got your few closest pals tagging along, we’ve got your covered too. No matter how many lads you want, we can plan a Quad Biking safari for you. Did someone say race? Every guy loves a bit of competition and the only thing better than smashing your mates across the finish line, is laughing at the poor soul that rolls in last. We might not have any trophies for the winner, but since when did that stop anyone?! This ride may be rough but don’t let that hold you back. These Quads are built to taking a bruising so get ready to wreck your machine. With a track through rainforests, creeks and bushland, your experience won’t be like your relationship with first girlfriend – you don’t have to take things slow. It’s the gateway to the wonders of the Great Barrier reef; a destination people recognise and flock to from around the globe. It’s a (not so) little place in Australia’s North Queensland called Cairns. Cairns is a place people holiday to, get married at and hold fond memories of in their hearts. Particularly keen party-goers that hit this vibrant city may have fewer and fuzzier memories than others. Visiting Cairns should be top of the bucket list for every thrill-seeking junkie. With hot air ballooning, scuba diving, wake boarding and paintball all on offer – there are more than enough activities to keep your days fuller than a CEO’s diary. The best part about this town is that everything you could ever want (and everything you never knew you wanted) is only a hop, skip and a jump outside of the CBD. Away from the hustle and bustle of some other Australian cities (yes, we’re looking at you Sydney and Melbourne), you won’t need to worry about complicated public transport systems, exxy Uber fares or traffic congestion. Cairn’s locals all live by one motto – simplicity. If you’re ready to embark on the Bucks Party of a lifetime in Cairns, let Wicked Bucks show you how it’s done.